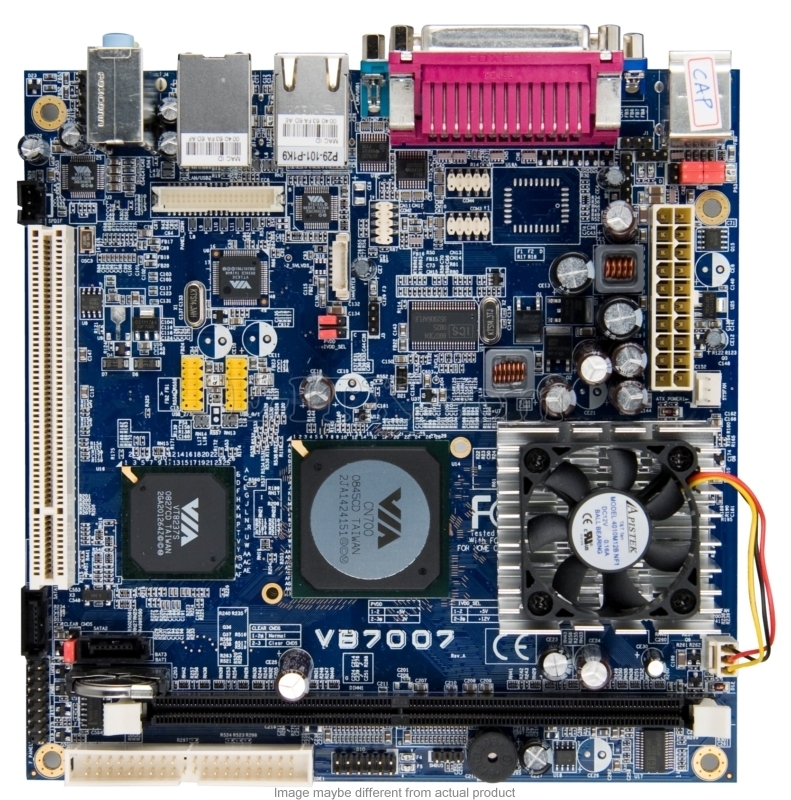 The VIA VB7007 Mini-ITX mainboard is a compact embedded board designed specifically for POS and kiosk applications. Powered by an energy-efficient VIA C7-D processor, the VIA VB7007 is built around the VIA CN700 chipset which includes the VIA UniChrome Pro II IGP with 2D/3D graphics and hardware video acceleration for rich digital media performance. The VIA C7-D processor platform is complimented by VIA's exclusive software suite for added security and data control. Applications include the VIA PadLock Security Engine which uses the ultra fast and world's only hardware-based AES encryption engine. The VIA C7-D also features VIA CoolStream Architecture, the VIA StepAhead Technology Suite, and VIA TwinTurbo technology. 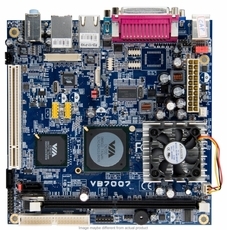 The VIA VB7007 supports up to 1GB of DDR2 system memory and native support for SATA 3Gb/s storage devices. High-bandwidth connectivity is supported through on-board dual RJ45 ports, supporting both Fast Ethernet and (optional) Gigabit networking. Eight USB 2.0 ports are included, with four more available through onboard pin headers.